When World War II was approaching its conclusion Finland asked the Germans, who up to this point had been helping them fight against the Russians, to leave but they refused. This then led to the Finns fighting against the Germans and pushing them north into Norway. On the way out the Germans used a Scorched Earth Policy and burnt every town they came across, this continued as they moved through Norway. 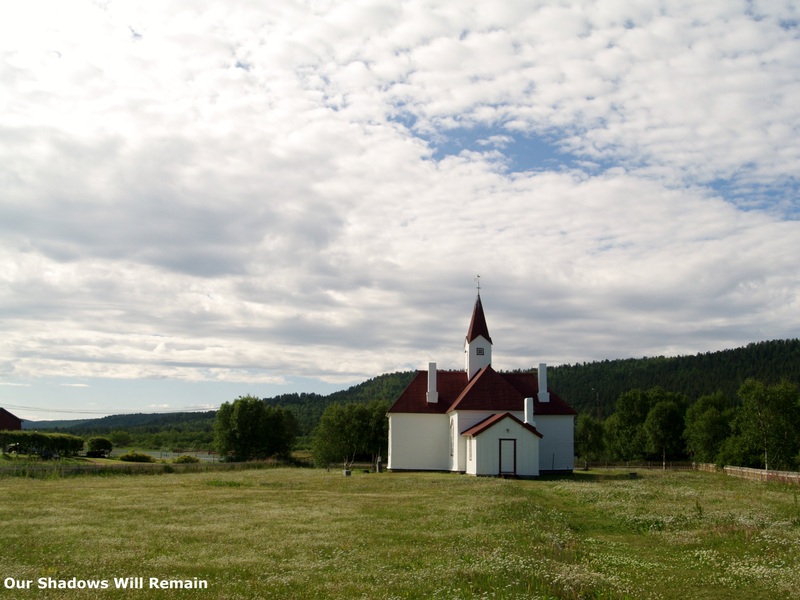 Karasjoki old church was the only building left standing in the Norwegian town of Karasjoki at the end of World War II. A solemn bit of history behind a sharp taken photo. Indeed. Every building has a story to tell.